TARLAC CITY- Ateneo Graduate School of Business is proud to add to its roster of institutional partners the Central Luzon Doctors’ Hospital last June 2018. Central Luzon Doctor’s Hospital (CLDH) is a private 200-bed tertiary-level training hospital located along Hospital Drive, Barangay San Vicente, Tarlac City, Tarlac, Philippines. CLDH is accredited by the Department of Health (DOH) and by the Philippine Health Insurance Corporation (PhilHealth). CLDH is a proud member of the Private Hospitals Association of the Philippines (PHAP) and the Philippine Hospital Association (PHA), and recently the Institute for Healthcare Improvement (IHI). 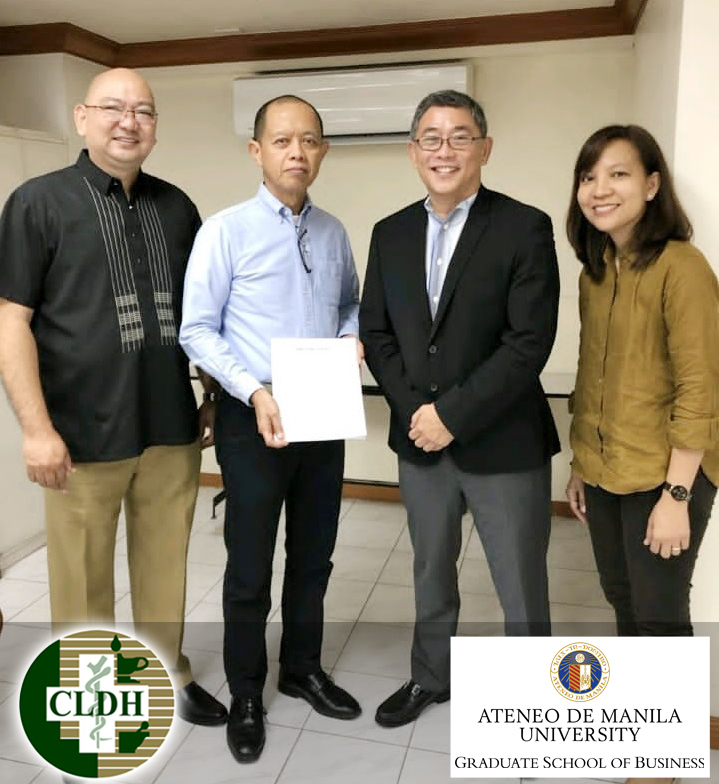 The Ateneo Graduate School of Business believes that the partnership with CLDH will create great impact with its thrust towards Nation Building in the consideration of the latter’s prowess in the field of Medicine. CLDH is considered to be the largest hospital in Tarlac and was acquired by the Metro Pacific Investments Corporation (MPIC) last 2013. To know more about the MBA-Health or any other Ateneo GSB program, email admissions. gsb@ateneo.edu or contact 899-7691 loc. 2214 for details.